Change is an important aspect of life. It can give us the opportunity to explore new ideas and situations, traverse outside our comfort zone, or try to reinvent ourselves. However, change can be a negative thing as well, forcing change on ourselves too far to the point that we move away from being who we are. In many ways video games can benefit and suffer the same consequences, taking advantage of change that benefits its design, or changing too much that the experience is ruined. This essay will focus on three key franchises, Final Fantasy, The Legend of Zelda and Assassins Creed. By looking at these franchises, I will provide my own thoughts and assessments of whether change was really beneficial for the games produced. These will be my own opinions, so I would love to hear some of your thoughts in the comment down below. If you are a follower of my blog, then you will know that Final Fantasy is one of my favourite franchises of all time. It is not just their stories that engross me, or the memorable cast of characters, but the fact that every title is different yet its unique identity is retained and shines through. The series is known for its willingness to change ever since the second game was released back in 1988, for better and worse. In fact, one of the reasons why audiences accept and applaud each new games small and big changes, is that people have been conditioned to and expect differences with each new entry. Nearly every new Final Fantasy game shakes up many of its core features, design and mechanics. Combat never plays exactly the same, whether that be different turn-based styles, or full real-time action based systems. New, small additions are made yet in every case it feels great and suits the type of experience the developers are going for. A new world and characters are introduced with every additional entry, while keeping many same themes, mythos and certain iconic characters like Cid. Music is always a focus and important feature, which is why Final Fantasy is often credited as having some of the best and most iconic video game soundtracks of all time. Yet, throughout all of these minor and significant changes, every Final Fantasy game has a similar feeling and rarely ever seems to stretch so far as to alienate its core design and systems that made people fall in love with the games in the first place. The music remains a highlight and iconic while being different, the stories are unashamedly grand, fantastical and at times over the top. Square Enix have crafted such imaginative worlds and beloved games in a series that thrives on change, and has continued to stay relevant because of it. Assassins Creed’s stance on change is more reduced than Final Fantasy yet does share similarities. The franchise that allows the player to explore important periods of history such as Renaissance Italy, Ancient Egypt and the declining era of pirates in Caribbean Islands, was reluctant to change at first but later made huge changes to its core design. The franchise started relatively strong, then faced a slump, after a brief break and larger changes brought in, they saw a resurgence, a kind of renaissance of their own with Assassins Creed Origins. In its early stages before Assassins Creed III, there was barely any significant change between games, however, the were still strong games, the second one in particular, and they sold well. Despite more changes being introduced, a series fatigue was setting in, only alleviated in part by Black Flag. Combat remained hardly changed and was incredibly easy, the modern day storylines were bland and monotonous accompanied by mundane filler content included just to pad out the playtime. While the hugely different locations introduced in each game remained strong aspects, they could not get in the way of the fact that the series needed more serious changes if it was to survive. Origins was both a literal and symbolic new start for the franchise. Being an origin story/prequel, there was more room to change certain aspects of the design and story. The combat was the best it had been up to that point, the setting of Ancient Egypt was a long awaited period (for me personally as well as many others) and more effort was put into side quests and exploration. Parkour/traversal was greatly improved, a mechanic that was clunky and unresponsive before. Bayek was a brilliantly written and voice acted character and the main story was generally strong. It was the best game in the franchise up to that point, and it was because the developers listened to players and committed to change. Odyssey continued the important changes and was another great and accomplished entry in the series. Like Final Fantasy, The Legend of Zelda is one of my favourite video game franchises. From the similarly iconic music, the incredible dungeon design to the magical and fantastical world and story. Twilight Princess, Ocarina of Time and The Windwaker remain my favourite three in the series. Small and bigger changes are made from game to game, however they are never big enough to detract from the core experience and feel of the game. That is until Breath of the Wild released back in March 2017. I was hyped for the release of a brand new Zelda game for years, I never got to play Skyward Sword as I never owned a Nintendo Wii, so the last entry I played was Twilight Princess. I was excited t see what changes would be made, but mostly to hear more iconic music and see what genius designed dungeons I would spend ages playing through. For me personally, what was released was one of the most disappointing video games in recent years. It had been changed so much that it no longer felt like a Zelda game, an obsession and misdirection into a large open-world ruined the entire game. While there were some really good changes. from the weather mechanics to the new climbing/stamina system, nearly everything else was mediocre open world design. The world was beautiful but empty, the mini shrines were fun at times but half saw you fight the exact same single enemy to complete it. The side quests had no effort put into the at all, with 95% being terrible fetch quests. The story and characters were forced in with little focus and were forgettable. The one thing that could have redeemed the experience was the main dungeons, however, there were only four and they all looked exactly the same and the physics based puzzles were too easy to complete, meaning the dungeons were only 30 minutes long. It was a game that was applauded for taking the risk to make change, when in fact the change hampered the core design of the game that made the game unique and brought in aspects that made it a lacklustre, cookie-cutter open world experience. It had lost what made the franchise great and did not feel like a Zelda game, change in this instance was bad for the franchise. Once again, change is important, lack of it can make your franchise monotonous and lose steam, but too much drastic change can alienate your fanbase and lose what made that franchise unique and beloved in the first place. A balance is needed to truly benefit both a newer and long running series. I hope that Final Fantasy and Assassins Creed continue to innovate and expand on what has worked before while retaining their core designs. For The Legend of Zelda, I hope that Nintendo can keep some of the new features, but put focus back onto delivering incredible music, varied designed dungeons with more complex puzzles and in its signature setting and lore. Thanks for taking the time to read this post, it was a bit longer than my usual articles but it was something I’ve wanted to write about for a while now. What are some of your thoughts? 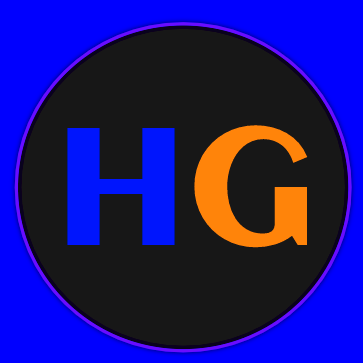 Comment down below, and for all things gaming, stay tuned to HonestGamer.